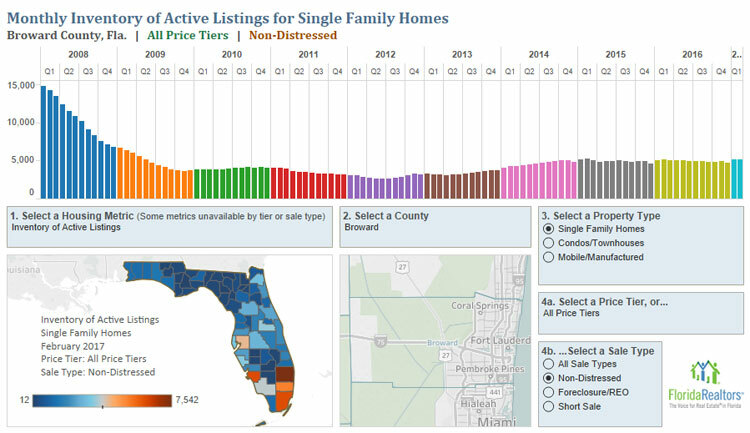 The drastic reduction in foreclosure & short-sale properties combined with lower inventory continue to drag down the overall single-family home market. Demand is still strong, resulting in a steady increase in pricing. In February, there were 66% fewer foreclosure sales and 35% less short-sales than last year. Traditional closings compared to last year were only off by 2 home sales or 0.2%. 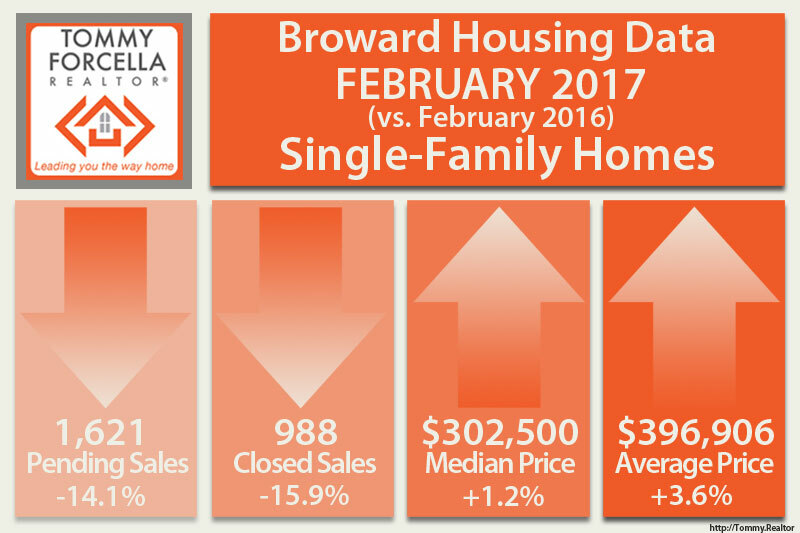 Single-family home inventory is down by 8% overall from February 2016. Inventory for homes priced under $150,000 dropped 72-78%, and inventory for homes between $150,000 and $200,000 is 38% lower than last year. Increases in inventory were only visible in homes priced above $400,000. While overall inventory levels are low resulting in a seller’s market, there are certain cities and neighborhoods where buyer’s have an advantage. 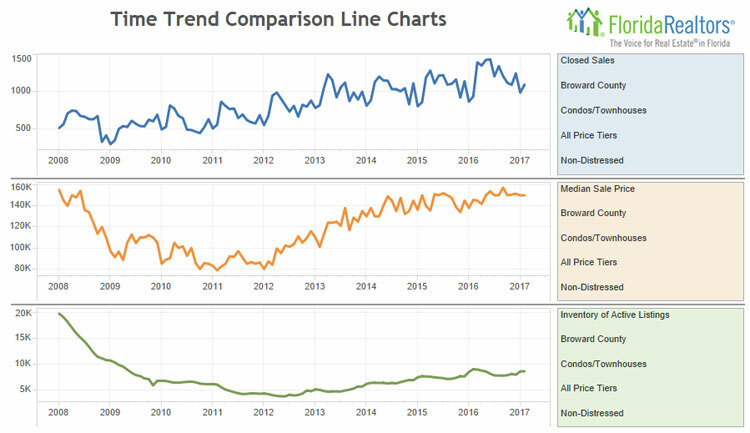 For example in Wilton Manors, higher prices are keeping homes on the market longer, resulting in a 5.8 month supply of inventory, just over the 5.5 benchmark for a buyer’s market. 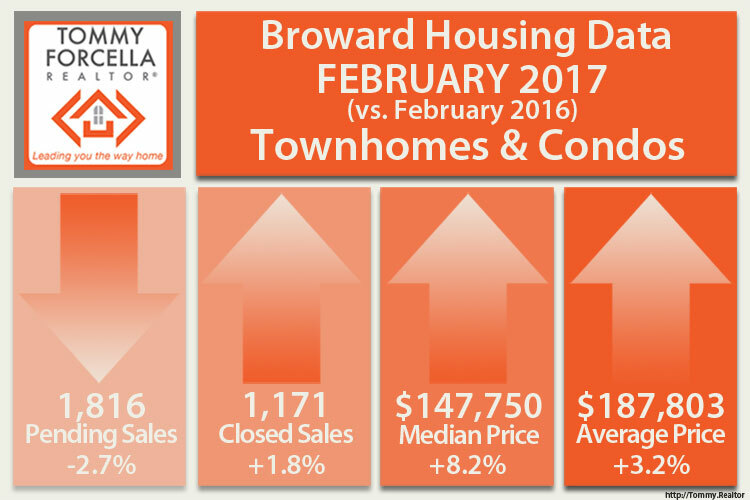 The condo/townhouse market is strong and showing stronger activity than single-family homes. Traditional sales increased by 17.3%. Foreclosure sales dropped by 66% and short-sales by 48.3%. 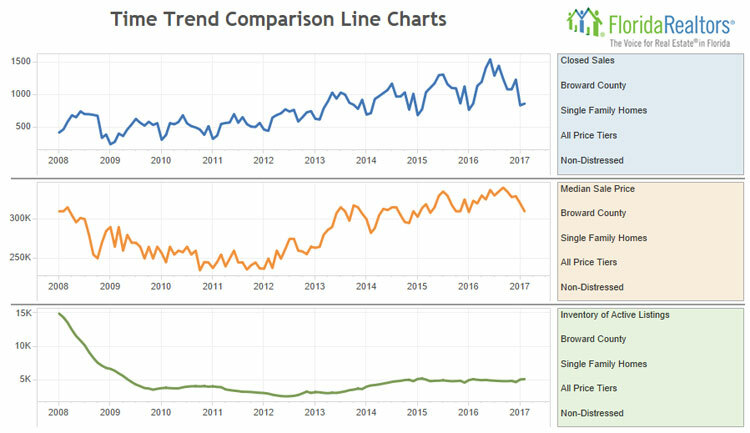 Although overall inventory levels are 7.8% lower than 2016, there is still strong supply resulting in 6.4 months of available inventory; a solid buyer’s market. Inventory reductions are the largest for property priced under $150,000. There is more inventory for condos & townhouses priced above $200,000 compared to 2016 levels. Again, there are deviations when looking at certain cities and complexes within the inventory levels. Wilton Manors is a seller’s market for condos and townhouses with only 4 months of available inventory. Royal Park Condos in Oakland Park continue to outpace other condo complexes in their general vicinity resulting in a strong seller’s advantage. Notes: Statistics for each month are compiled from MLS feeds on the 15th day of the following month. Data released on Wednesday, March 22, 2017.